After split, Alec Baldwin seemed very happy these days with Hilaria. The couple has welcomed their third child recently. 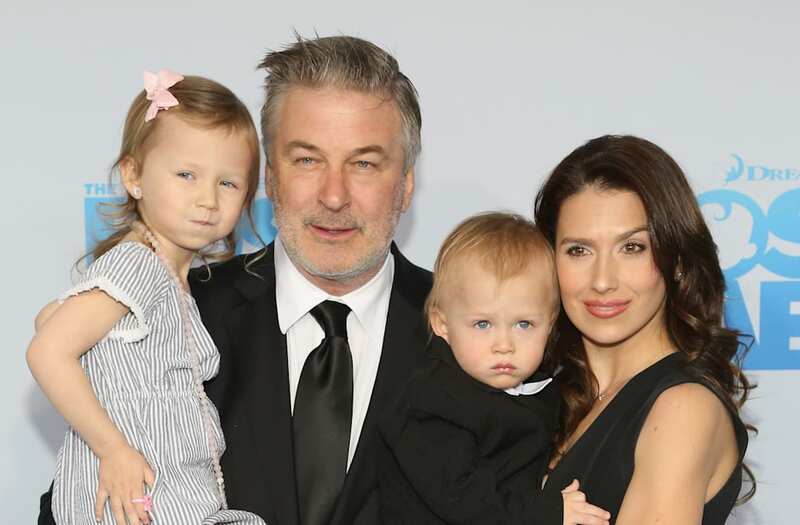 Alec Baldwin, the known celebrity seems to be very much happy after the arrival of his third child with his wife Hilaria. He was first married to Kim Basinger and after the divorce, he met his current wife Hilaria. Kim Basinger and Alec first met on the set of 'The Marrying Man' in 1990 and got married in 1993. However, after the seven years of their wedding, the couple decided to get separated in 2000. Both of them have a daughter named Ireland born in 1995. The divorce was pretty painful to both the couple. Their separation became the biggest talk of the nation at that time, especially regarding their nasty fight for custody of their daughter Ireland. Their divorce was made as it was for custody of their daughter. The couple has embroiled in the battle of the custody of their beloved daughter for four years. Alec Baldwin even has to attend anger management course when his voice mail filled with anger to his daughter Ireland was leaked to press. Finally, the custody of their daughter was given to Kim. The actor was left all alone. Someone has said it right, after a darker day, a day with bright sun would appear. Same things happened in the life of Baldwin. In 2011, the actor met Hilaria who was his yoga instructor in Manhattan and started dating her. The couple decided to move to Greenwich Village from Upper West Side. Two love bird were engaged in April 2012 and year after that they tied the knot on June 30, 2012, at St. Patrick's Old Cathedral in New York City. After marrying Hilaria, the actor Alec has moved on from the pain he was left with Kim Basinger and daughter Ireland. The couple gave birth to their first daughter Carmen on August 23, 2013. It made the bond between a couple stronger. The happily married couple have their second son Rafael on June 17, 2015. And finally, with the arrival of their third son Leanardo on September 12, 2016, the couple have three children altogether. These days we could say, the actor has moved on from the painful memory of Kim Basinger, and his painful separation with daughter Ireland as the actor hasn’t spoken anything about them since 2012. This shows Alec is enjoying his fatherhood with his three children and lady of her life Hilaria Baldwin. The arrival of their third son Leonardo manifests the fact that he is happy with Hilaria.